Do you represent an Arizona State Government Agency and wondering how you should archive all your web and social media content? Are you trying to determine what you need to do both from a legal and a technical point of view? Here’s a guide to the different Laws and processes you should follow. What Laws govern Records Management in the State of Arizona? Arizona Public Records Law, A.R.S. 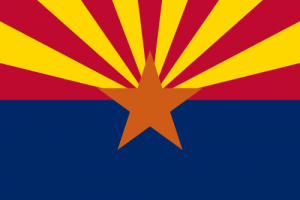 §§ 39-101 to -161, governs Social Media and Open Records in the state of Arizona, creating guidelines on procedures for the handling, preservation and disposition of public records. Do Arizona State Records Laws include Website and Social Media content? Any information created for or received from Social Media may be a record, (A.R.S.) §41-1350, and such information will need to be retained in line with these standards. The transitory nature of most Social media communications does not mean that the format of such records created or received should be transitory. It is the content and the purpose of the communication that determines whether these communications will qualify as records, and the specific retention period required for such records. “Other matters subject to the public’s right of access include ‘documents which are not required by law to be filed as public records. . . .’” Salt River Pima-Maricopa Indian Cmty. v. Rogers 168 Ariz. 531, 539, 815 P.2d 900, 908 (1991). The broad scope of this legislation applies to “any person elected or appointed to hold any elective or appointive office of any public body and any chief administrative officer, head, director, superintendent or chairman of any public body.” A.R.S. § 39-121.01(A)(1). Public body is defined as “this state, any county, city, town, school district, political subdivision or tax-supported district in this state, any branch, department, board, bureau, commission, council or committee of the foregoing, and any public organization or agency, supported in whole or in part by monies from this state or any political subdivision of this state, or expending monies provided by this state or any political subdivision of this state.” Id. § (A)(2). This definition is more inclusive than the definition in the State’s Open Meeting Law. A.R.S. § 38-431(6). Social Media records must be managed in a way that complies with all of the Records Management requirements found in State Statutes. (See A.R.S. §39- 101, §41-1330-55). Agencies must also create specific record retention schedules for social networking records. All permanent public records must be “transcribed or kept on paper or other material which is of durable or permanent quality and which conforms to standards established by the director of the Arizona state library, archives and public records.” A.R.S. § 39-101(A). These public records must also be stored and maintained according to the Director’s standards. Id. § (B). Each state agency may implement a program for the reproduction via digital imaging, or other electronic media of records in its custody. A.R.S. § 41-151.16(A). However, prior to instituting the program, the agency must obtain approval from the Director of the Arizona State Library, Archives and Public Records. Id. How can we transfer website archives made with PageFreezer to the Arizona State Digital Archives? PageFreezer exports all data on request in the original file format including the required metadata. This data set can be transferred by FTP or by other means to the Arizona State or Agency Digital Archives. Case Law: Lake v. City of Phoenix. This highlights the need for sophisticated archiving of social media records in Arizona that goes beyond copying and pasting information visible on a screen or printed copy. Justice Bales stated: “Arizona law provides that “[p]ublic records and other matters in the custody of any officer shall be open to inspection by any person at all times during office hours.” A.R.S. § 39-121 (2001). As a result, if a public entity maintains a public record in an electronic format, then the electronic version, including any embedded metadata, is subject to disclosure under our public records laws. The metadata in an electronic document is part of the underlying document; it does not stand on its own. When a police officer uses a computer to make a public record, the metadata forms part of the document as much as the words on the page. Cf. Williams v. Sprint/United Mgmt. Co., 230 F.R.D. 640, 652 (D. Kan. 2005) (noting, in discussing federal civil discovery rules, that “metadata is an inherent part of al electronic document.”). Arizona’s public records law requires that the requestor be allowed to review a copy of the “real record.” Lake, 220 Ariz. at 486 ¶ 48, 207 P.3d at 739 (Norris, J. dissenting). It would be illogical, and contrary to the policy of openness underlying the public records law, to conclude that public entities can withhold information embedded in an electronic document, such as the date of creation, while they would be required to produce the same information if it were written manually on a paper public record.